The critical assets of a hospital - its people, property, information and reputation - must be protected. This award will recognise hospitals that have made significant steps towards a safer environment for patients and workers through the implementation of a security policy which incorporates the latest advancements in CCTV, access control and other monitoring technologies. 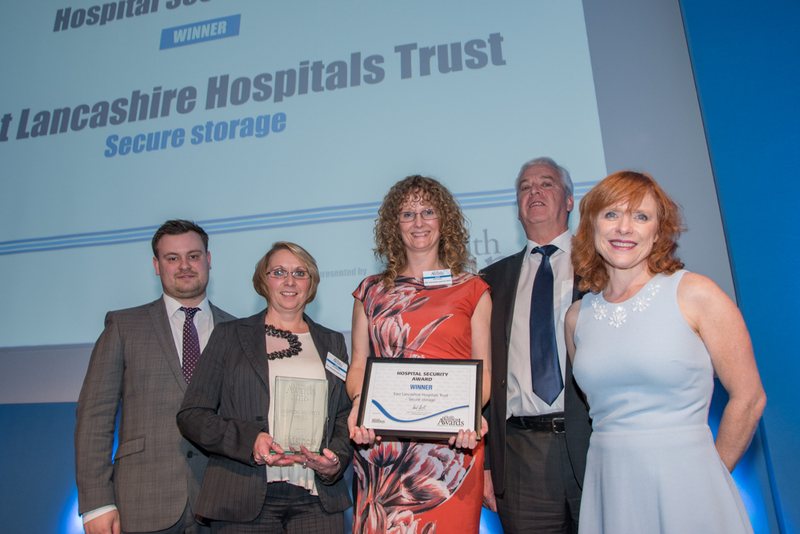 Following feedback from patients, Royal Blackburn Hospital, part of East Lancashire Hospitals Trust, is deploying a secure storage system developed in partnership with a local company, for patient’s valuables. A drawer has been designed as part of the patient’s bedside cabinet, which can only be locked and unlocked using a Radio Frequency ID wristband, which is programmed on the patient’s arrival. The programming of the wristbands takes only seconds and they have been designed to be compliant with Infection Prevention and Control requirements. It is anticipated that the system will be rolled out to its other wards and hospitals in order to enhance the security of patient’s property throughout the trust.